On Sunday, February 10 at 3 in the Rye Library Meeting Room, local elementary, middle, and high school students can witness that goal take shape. 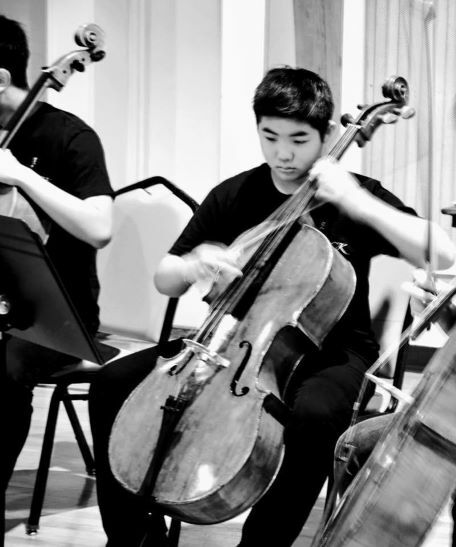 They are invited to participate in a free interactive workshop with cello prodigy Sean Yu and his friends from The Back to Bach Project, a global initiative to inspire music and arts education and teach the value of hard work and passion. After an initial presentation, Yu, a Rye High School freshman who initiated this exciting collaboration between the Back to Bach Project and the Big Picture Foundation, and friends, all of whom are members of the prestigious Julliard pre-college program, will give solo and chamber performances. And they’ll top off the afternoon with a quiz and a prize for an audience member. To register a student for the February 10 event, go to https://goo.gl/forms/jZTDFbtw1fojiOuB2.